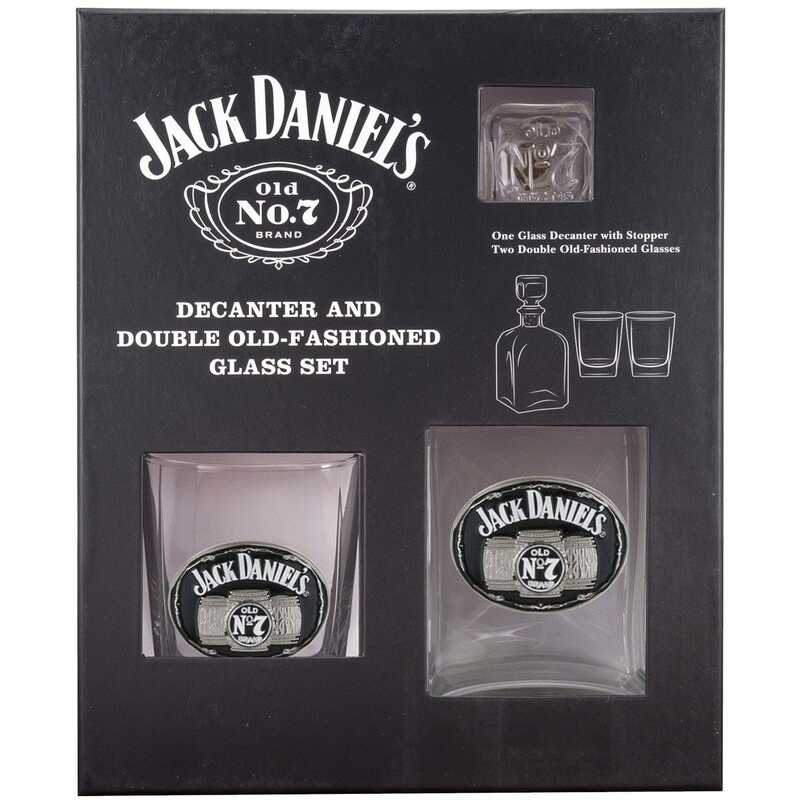 Lift your spirits and impress your guests with a Jack Daniel’s Set. This complete set includes hand-blown 24 oz. decanter with a set of 2 matching 14 oz. old fashioned shot glass. 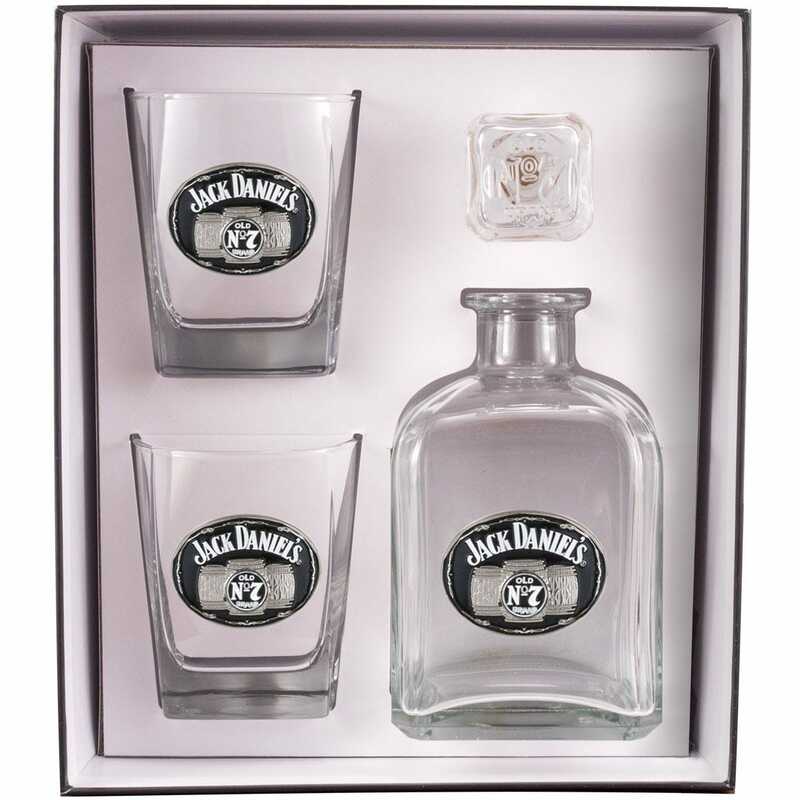 Both pieces have a cast enameled, raised-relief metal medallion of the Jack Daniel’s logo that will sure be the center of attention at your party. Decanter has a four-sided glass bottle stopper with a cork for a tight seal, easy removal and replacement. Glasses measures 4”h. 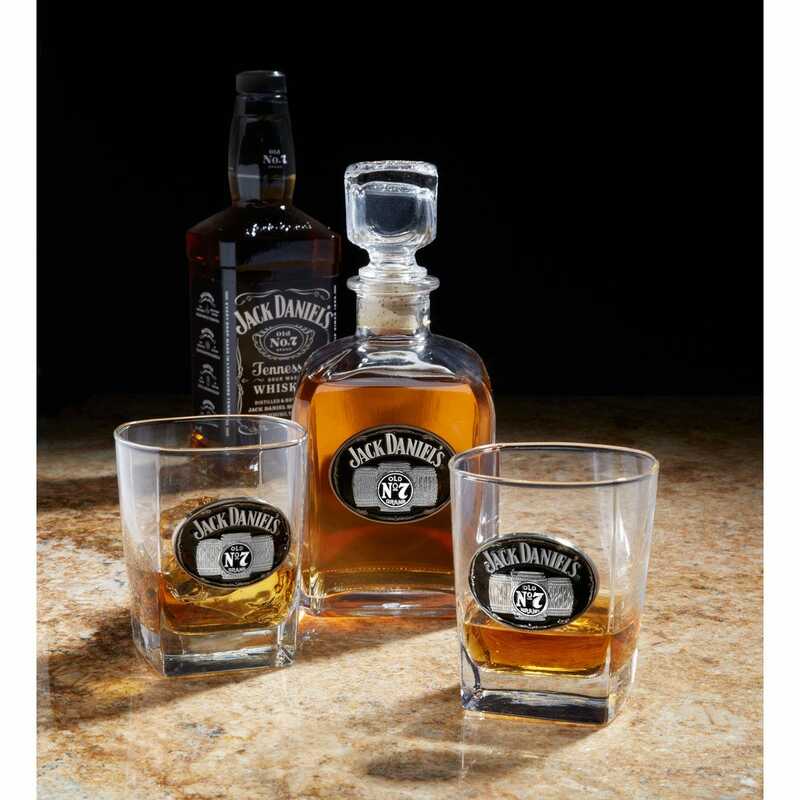 Official licensed product of Jack Daniel’s. Hand-wash only.